Better Nickname: Rua has a cool nickname. Griffin has none. Shogun. Inside Scoop, Rua: He got dismantled by Jon Jones in his last fight--who doesn't--but before that he was on a roll. His loss to Machida was bs. He fights better when he's got something to prove. Inside Scoop, Griffin: This guy comes to put on a good show. He's well-rounded and should never be underestimated. He has been touched a few times on the chin as of late. 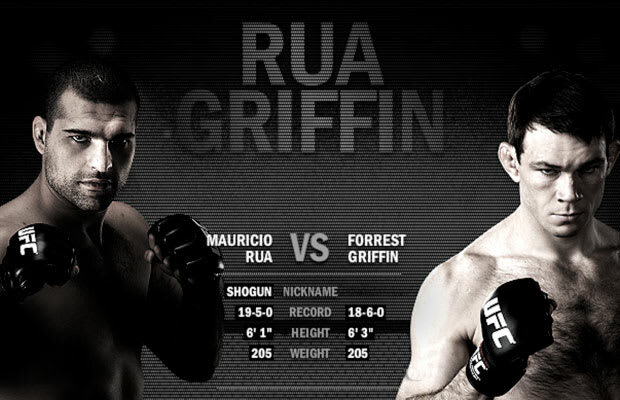 Prediction: Rua. He's fighting at home. If he loses this one it could signal some contract changes. He needs this win. Oh yeah, and Griffin beat him convincingly in their previous match. He keeps it standing and wins with the Muay Thai just like he did Machida.